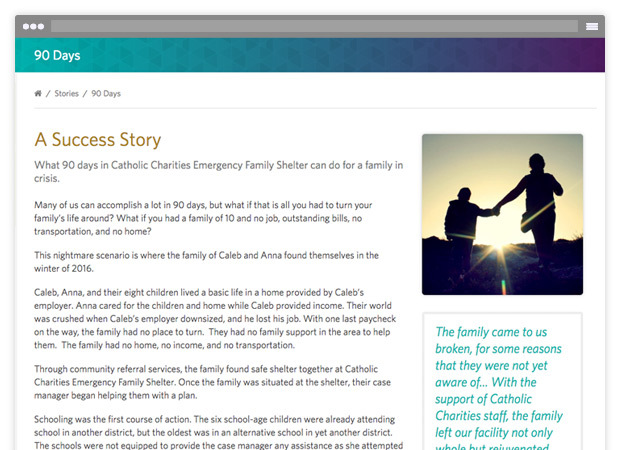 Catholic Charities is deeply committed to serving people in need. 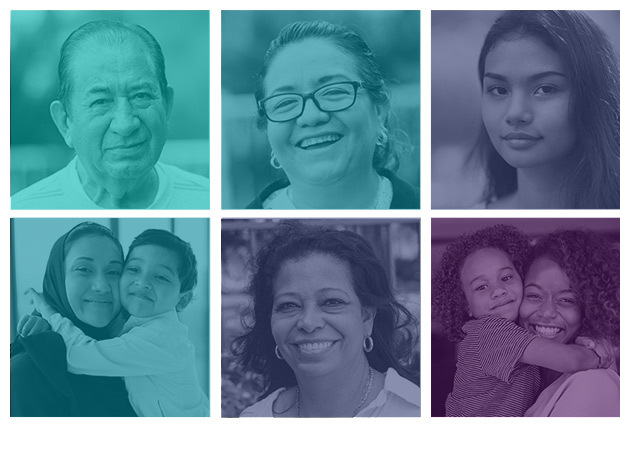 They serve an incredibly diverse group of people with a broad range of challenges—from recent immigrants looking for a fresh start to women and families needing emergency housing to people struggling with mental health issues. 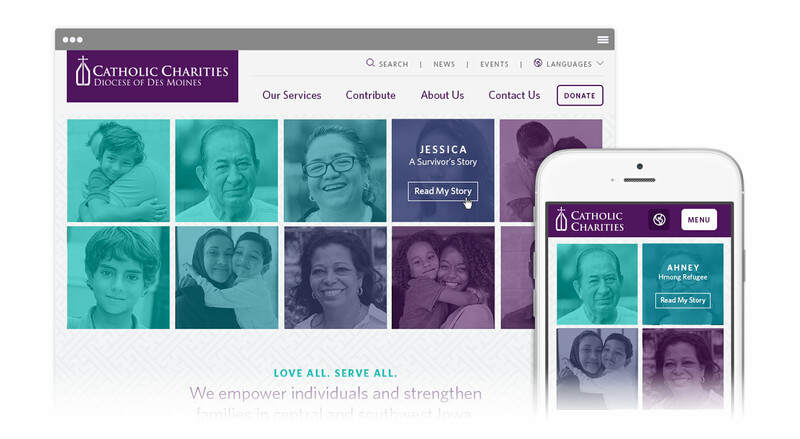 An organization with a proud history dating back to 1924, Catholic Charities recognized that a brand and website refresh was a key part of growing their organization and serving families in need. 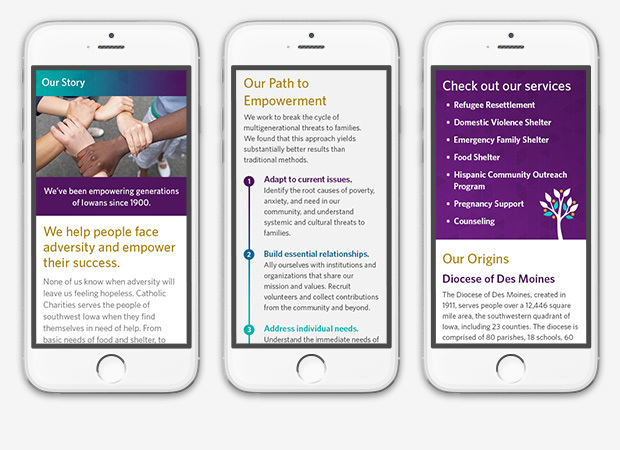 Working with their team, we broadened their color palette and presented a much more vibrant message and aesthetic—igniting their brand with new energy. A key part of the project was to correct misunderstandings about their organization. Many mistakenly thought they only served Catholic members and accepted contributions only from Catholic membership. To the contrary, their mission is to serve anyone in need, without regard to a person’s faith. 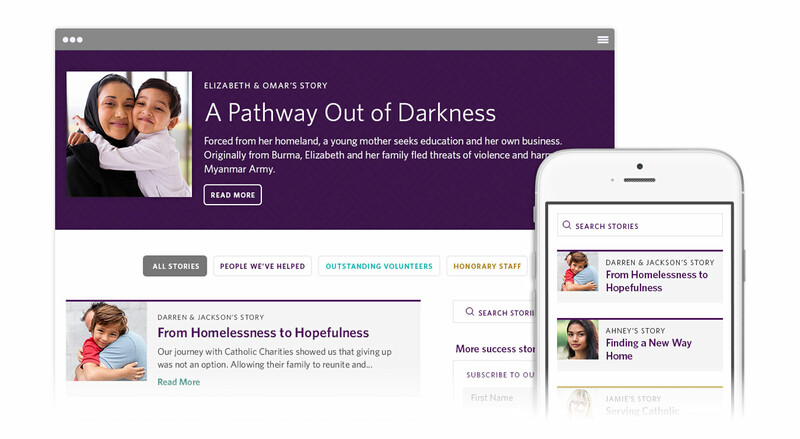 Further, they work alongside a broad coalition of partners to help those in need. Tackling these misperceptions head-on was a key part of crafting their message. 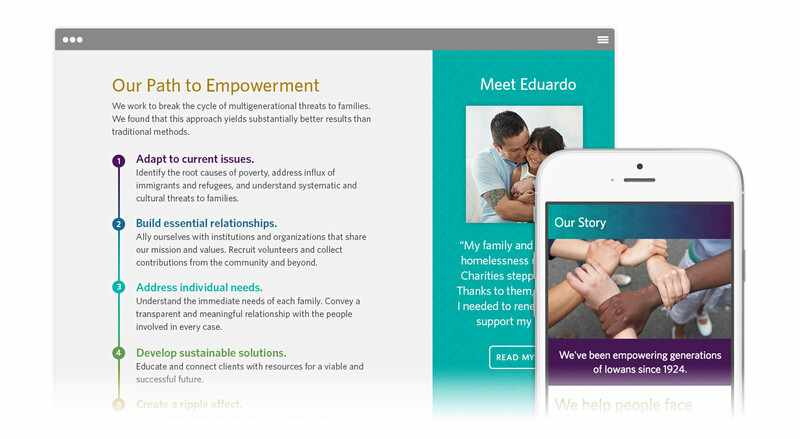 It was critical the homepage be versatile enough to highlight their different programs and clearly communicate all programs are equally important. 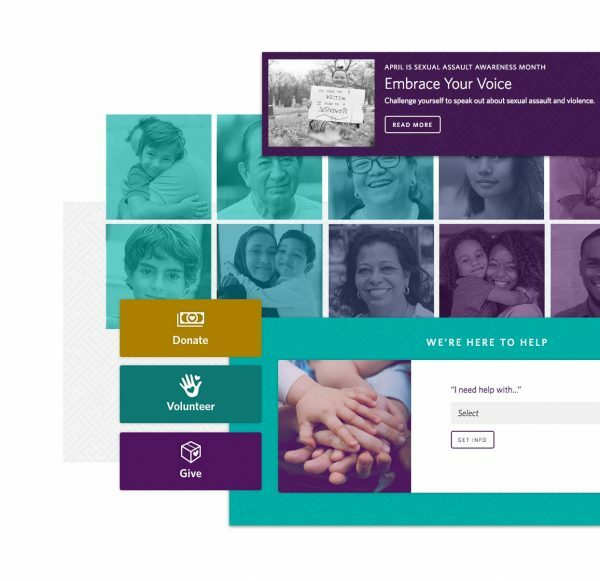 On their homepage, we creatively showed the variety of work they do by sharing stories of those they help, volunteers who serve and of their dedicated team.